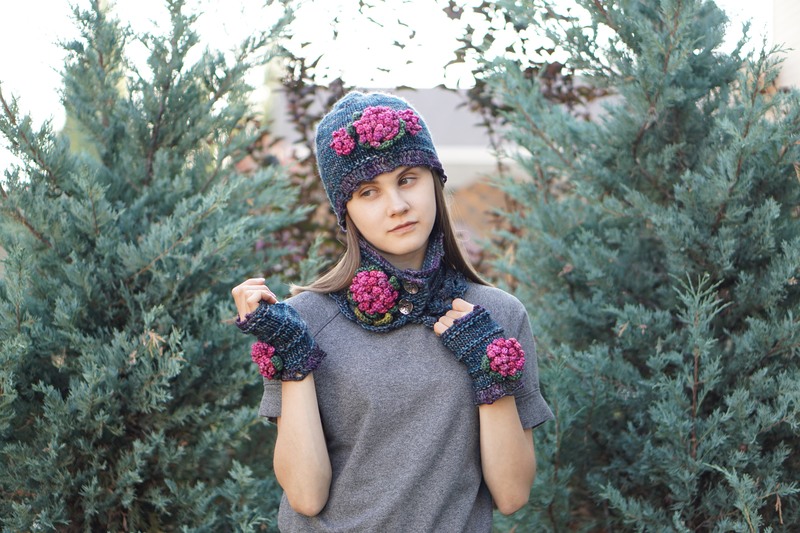 Fabulous Floral scarves, hand warmers, hats, ear warmers and more. I have been busy designing new pieces to various collections including various Floral Peony styles shown here http://www.valeriebaberdesigns.etsy.com and http://www.valeriebaberdesign.com Check out both of my sites for the latest design as I will continue to add new ones weekly. Some of my other designs are ready to ship and some can be custom ordered with a variety of colours so check each listing you like to see on the last picture what colours you can do order them in. These are some of the various design styles and colours available with a Peony floral touch, more colours are available than shown. These are some of the new Peony floral scarves available this fall. There are many different styles to choose from to suit your style. I have also added many new one of a kind pieces recently to http://www.valeriebaberdesigns.etsy.com with hand painted merino wool and hand spun wool. Have a wonderful day and be inspired to try something new today. I love the colors! Beautiful and bold. It’s so nice to wear colors when everything is fading. We’re going to have to go yarn shopping together soon. Oh wow, this is such a beautiful collection, they are all absolutely stunning!